When we’re young, we like to think we’re invincible. Despite its prevalence in older populations, cancer can strike at any age. And having the key insurance policies in place—medical, trauma, income, life and total permanent disability—can help shoulder some of the stress and financial burden that comes with such a life-changing diagnosis. Just like it did for Tom* and his family. Tom was fit and only 35 years old with a family on the way when he suffered a seizure after complaining of a persistent headache that had gone on for days. Rushed to A&E, he was diagnosed with a malignant brain tumor. He was operated on the following morning. Luckily for Tom and his growing family, his health insurance covered everything from the ambulance ride to hospital to the ongoing medical treatment costs. However, health insurance can do more than cover medical bills. While the public health system does prioritise cancer patients, the private health system typically has shorter wait times. “The first thing we did that day was check Tom’s medical policy, as he was on a different medical insurance from myself,” Tom’s wife, Melanie*, says. “Thanks to that, Tania at BRAVEday was able to help us access post-surgery treatment [chemotherapy and radiotherapy] quicker. “We were able to get all the forms processed quickly so that he was in and receiving his treatment within two weeks through private health. If we'd done it publicly, we could've waited three to six months, which, in tumor time, is a lot of growth time,” says Melanie. “In that respect, it enabled us to move as quickly as possible. Health insurance can also help you access a greater range of treatment options. In most circumstances, the public health system only covers Pharmac (Government) funded treatments. You’ll always get treated, but it may not necessarily be the best treatment available. In Tom’s case, his health insurance helped cover his continued oncology treatment in the private sector for years to come. Trauma insurance is the most common claim we see at BRAVEday. With the increasing life expectancies in the western world, New Zealand enjoys one of the highest life expectancies in the world at 81.46 years. The consequences of longevity, however, are an increasing burden of critical illnesses that occur more frequently with advancing age, such as cancer and heart disease. Take time off work. This can give them time to rest and recover, as well as cover any time a spouse or family member has to take to provide support. Pay for alternative treatments. 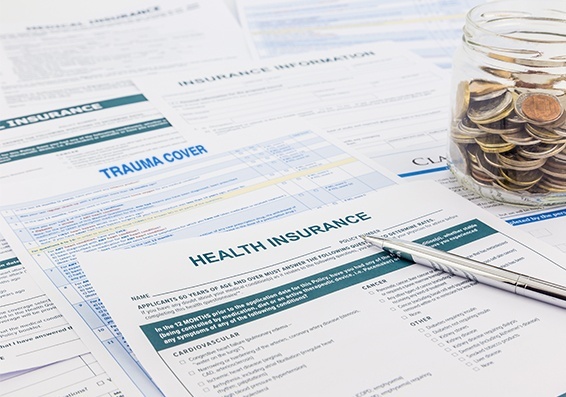 Not all medical insurance policies include cover for Non-Pharmac funded drugs, however, a trauma claim could help offset the cost of treatment. Reduce debt. Many people with cancer find that their income reduces while their expenses increase. Reducing credit card and mortgage debt can free up their finances and let them focus on treatment and recovery. Pay for additional costs. This could help cover common costs associated with cancer, such as childcare and travelling to medical appointments. To qualify, you need to survive 14 days after being diagnosed with a covered condition. Unlike Income Protection, Trauma doesn't depend on whether you can work or not. Within a month of his diagnosis, Tom’s trauma cover was paid out in full. It not only gave him financial security, but also granted financial relief for his family, particularly his wife who was heavily pregnant at the time. “Your life goes on hold and in our case neither of us went back to work in the short to medium term,” Tom’s wife, Melanie*, says. 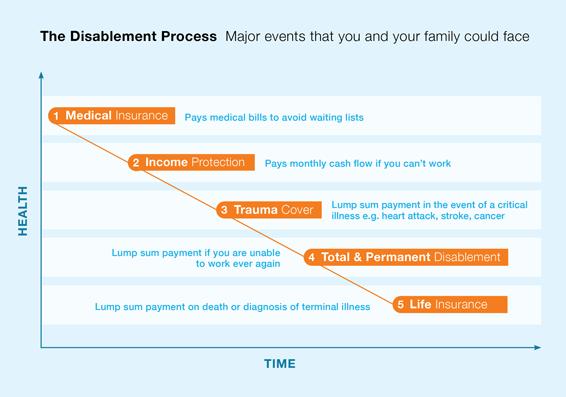 Where trauma insurance is a one off payment, income protection provides a monthly cash flow if you can’t work. Many people choose to couple income protection with trauma insurance, as this can provide a regular income for the period they can’t work. Better still, it can kick in either temporarily, for example, while you recover from surgery, or permanently if you are too sick to work, as is the case with many people fighting cancer. After 13 weeks off work, Tom’s income protection also kicked in and started paying the maximum monthly amount. The consistent payments took the stress out of financing his family’s day-to-day financial commitments such as bills and their mortgages. Sadly, Tom never returned to work. Where trauma Insurance can provide a lump sum payment to help you get back on your feet, total and permanent disablement (TPD) cover will ensure you and your family maintain a good quality of life, even if you can never return to work. Having both forms of insurance allows you to stop thinking about potential financial speed bumps around the corner and enjoy the life and time you have. In the case of brain tumors, it is sadly common that patients are often never well enough to resume working in their previous occupation. Eight months after Tom’s trauma claim was paid out, Tom and his family filed for a TPD claim, which was accepted and paid out. No matter what happened work wise, Tom and his young family were now secure. Life Insurance cover pays you a lump sum (or a fixed monthly amount) if you die or are diagnosed with a terminal illness and have less than 12 months to live. This is a worst-case scenario and will ensure your family are taken care of financially, particularly if you are the main income earner or have a large amount of outstanding debt. Tom had life insurance cover in place prior to getting ill. Moreover, the special events benefit in the policy allowed him to increase his cover by $250,000 twice following the birth of each of his two children. Despite being effectively uninsurable after his diagnosis, Tom gained an extra $500,000 life insurance, which was paid out six months before he passed away. While he was no longer with them, this money will continue to support his wife and two children into the future. Tom claimed on every policy he had. In the end, it ensured he had the best care available, including private in-home nursing, and gave his family the ability to create happy memories together without any financial stress. “Two years before Tom’s diagnosis we sat down with Dean Young and planned our future,” says Melanie. “We had several properties and mortgages, we were both on good salaries, but what happens if something goes wrong? Having all five levels of insurance cover made a huge difference to Tom and his family’s quality of life, but most of all, it gave them the opportunity to live life boldly. Every health insurance provider has different rules and benefits that cover surgery, cancer treatment, tests and specialist appointments. To help you see what the major differences are, we’ve created this handy medical insurance comparison chart, so you can make an informed decision about protecting your health. The information contained on this website is provided for general information purposes only and does not constitute legal or other professional advice. Brave Day Limited does not accept any responsibility for any loss which may arise from reliance on information contained on this website.